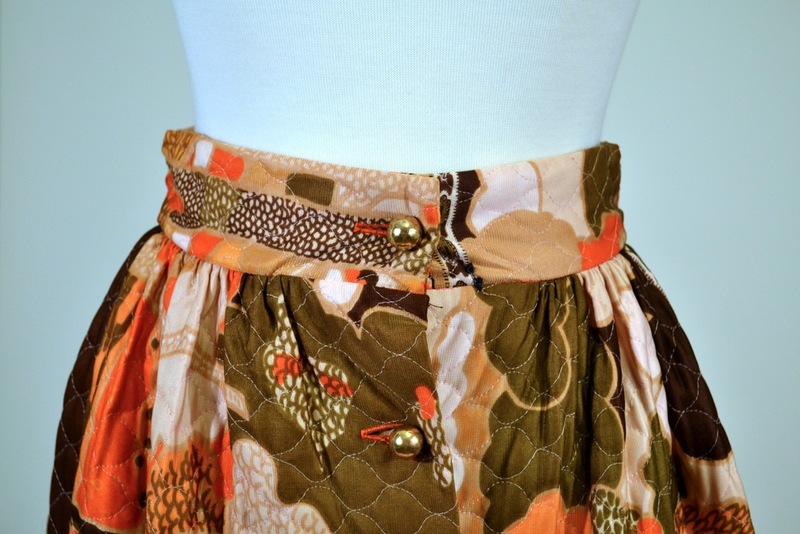 Please scroll down for images of The Milly Quilted Skirt modeled and in greater detail. We invited you to visit the link directly below, as well. Inspired by: Seven Brides for Seven Brothers (1954). Colors: Moss, ecru, chocolate, tangerine, pumpkin with soft white threading throughout. 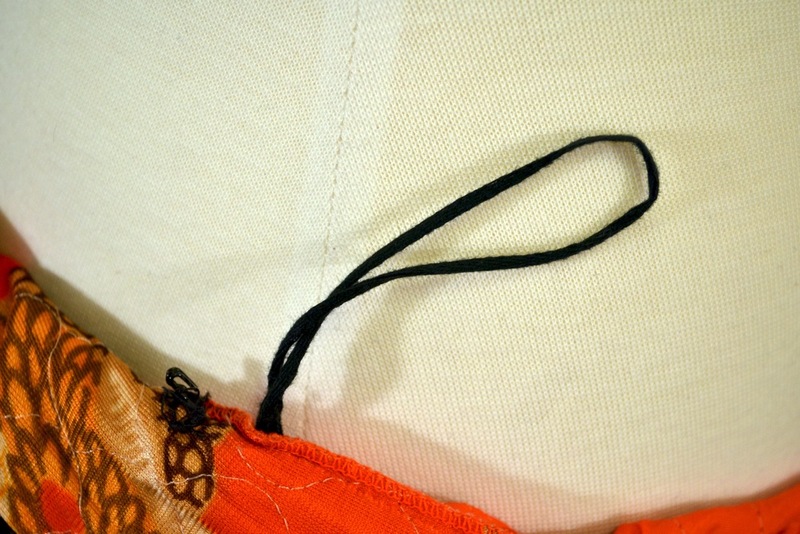 Closure: Buttons up entire front of skirt, with a single hook-and-eye closure below the uppermost button. There are three hook-and-eye closures on the inside of the skirt that seems to be superfluous. Some of the gold buttons are sewn with orange thread and a couple others with cream thread. This is not visible when the skirt is worn. As you may imagine, she's a warm one! Worn by Myranda. Blouse not included. Closure detail. Notice the different color threads used for the buttons. Side interior, hook-and-eye closure with fabric hanger loop.